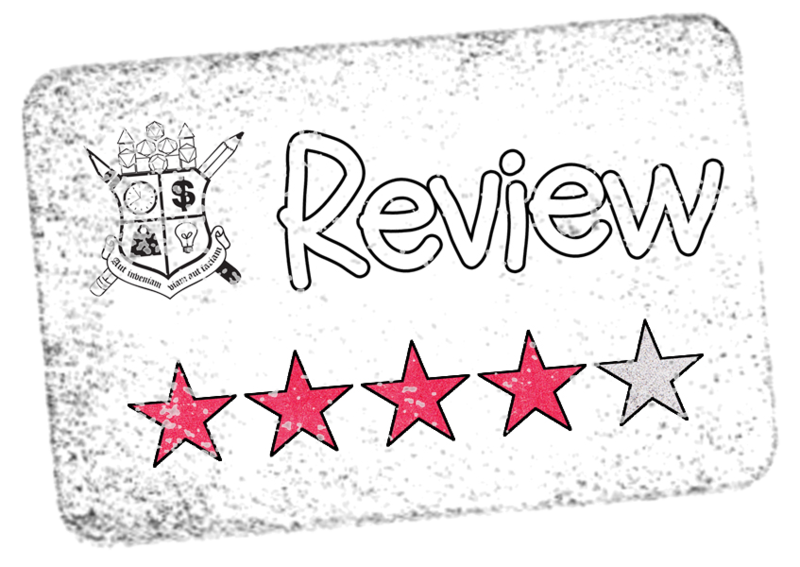 This week's Frugal GM Review is on an interesting, almost system-less "adventure" called Waybury U. Now I'll admit I was a sucker for the cover.....I had to check this out. That it is a free download was just a nice little bonus. A buddy of mine ran an entire campaign where the players were young students at mage school, somewhat in the vein of Harry Potter. This download clocked in at 7.36 MB for me, although the listing shows 7.66 MB....a no-big-deal difference only mentioned because I noticed the discrepancy. It is a secured/locked down PDF which is only a big deal to me because there aren't any bookmarks. The thing is that looking at the PDF it almost looks like there should be bookmarks because some text is colored blue to designate something in the appendix. Normally I do a quick initial read through something like this, make some notes, and then come back around for a "regular" reading. The intro is straight-forward that this supplement is suited for spell casting classes, including clerics, and other classes really have no place using this. On my initial read-through I'd have to say it feels that this is really only suitable for arcane spell casters. I think divine spell casters would feel almost as left out as fighters would be. The author does a pretty good job setting up the framework of Waybury University and I think any GM could easily tweak this supplement to fit an existing location in their game world. I feel that a couple of small details were overlooked, like when do tests occur? They are listed as randomly, but no method of determining this is given. Most random things in this book are given a die roll, so the absence of this is something I noticed. At the same time there are some things that I think too much attention was paid to, like the inclusion of 16 pages of a calendar. There are also a lot of campaign/game world specifics that I didn't think needed to be included, like the type/description of currency used. One page is difficult to read due to small font, but the rest is quite readable. I really think that the majority of GMs who pick up this product are going to have to make a lot of tweaks to fit it into their game world. While there might be a lot of tweaks that need to be made, most of them aren't going to be a hassle, like the aforementioned campaign-specific currency and calendar. Odds are you already have that determined for your campaign and all you might need to do is tweak a few prices or when the school semester starts. 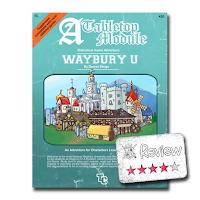 My initial gut feeling on this product is that it deserves three stars, but the sheer novelty of the premise and the fact that there is a lot of stuff you could easily pull out of Waybury University and use on its own......I felt like bumping it up a star is fitting. Now it isn't a secret that I play HackMaster and that game (both editions) have PCs leveling up by going to school when they have enough experience. I could easily tweak Waybury U to make it a general university suitable for training all classes.....and I probably will!